There’s just something I like about premium leather products. The smell of the leather, the texture and of course the aesthetics of a well-crafted leather product has a certain allure that shouts premium. 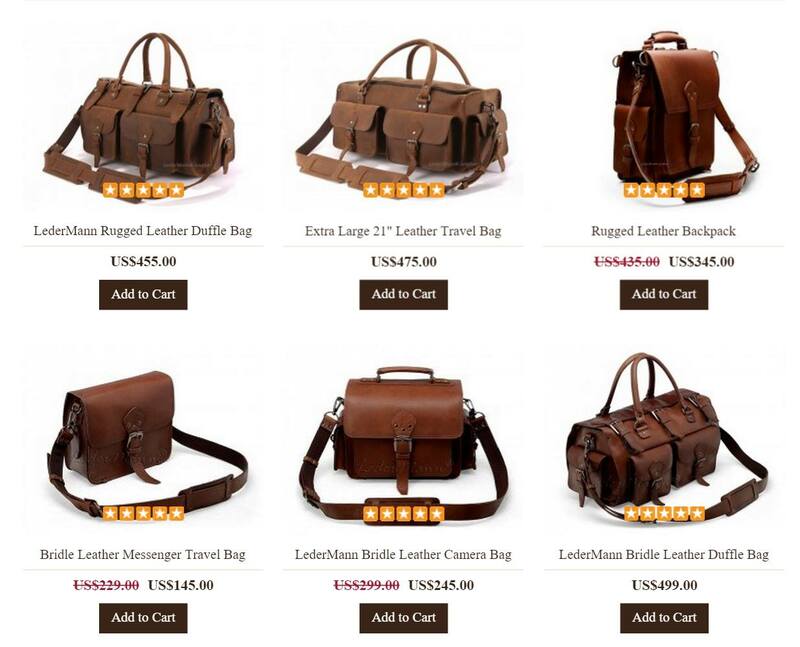 In today’s market which is flooded with cheap fake leather and mass-produced leather goods, finding good and reasonably priced leather bags is somewhat of a challenge. 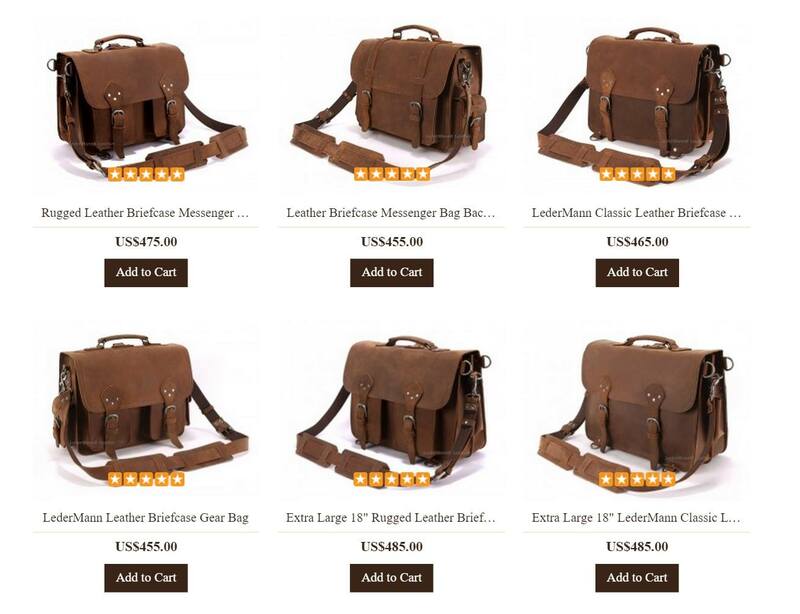 Good thing there is www.ledermannleather.com which offers various ranges of leather bags at not so ridiculous prices. 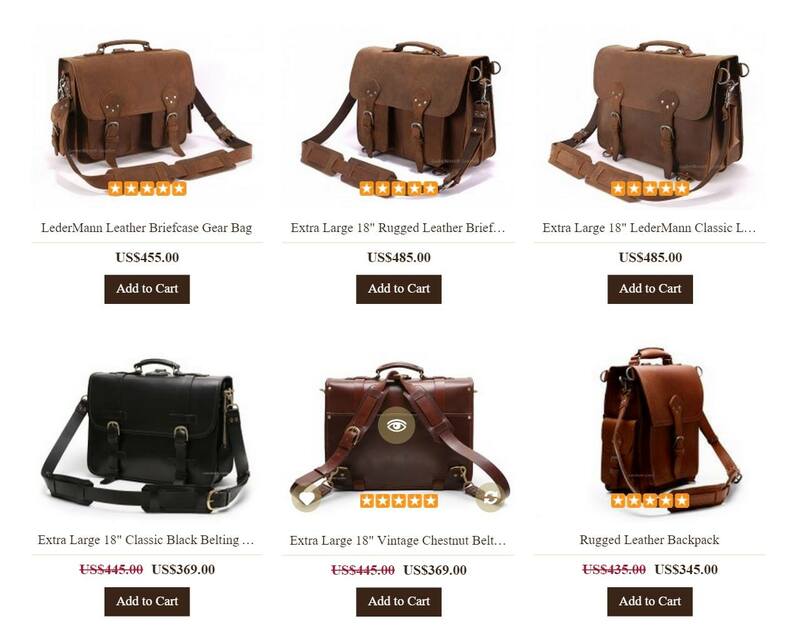 Whether you’re looking for a briefcase, duffle/ travel bag, backpacks, or messenger bags, there’s a wide variety of designs and colours on their site. 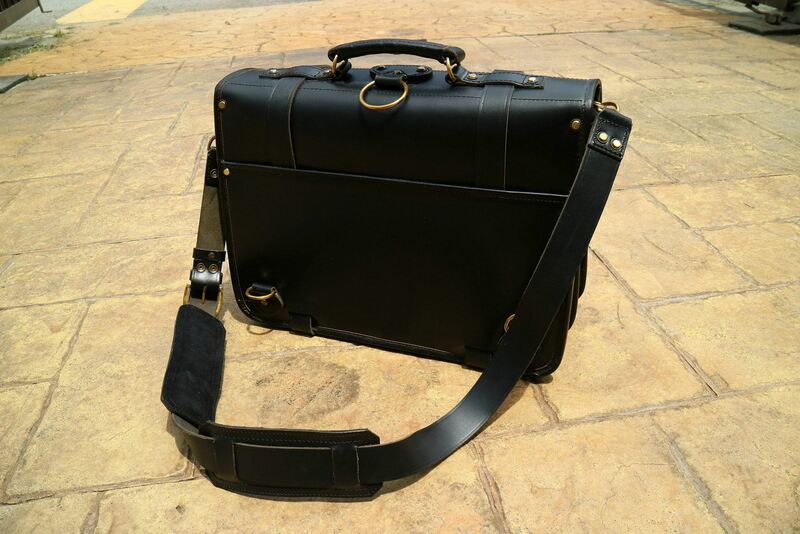 So I choose the Extra Large 18″ Classic Black Belting Leather Briefcase for myself which is made out of Full Grain Belting Leather which is the best leather money can buy. This type of leather refers to hides that have not been sanded, or buffed to remove imperfections (or natural marks) on the surface of the hide. The result of this is that the grain retains the fibre strength and durability. The grain also has breathability, resulting in less moisture from prolonged contact, and over time it will develop a patina rather than wearing out. 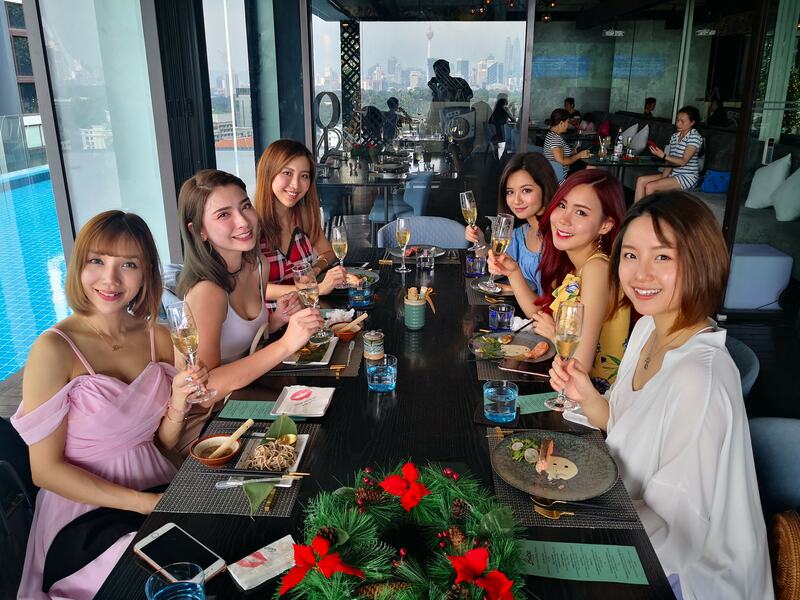 Pati-what? 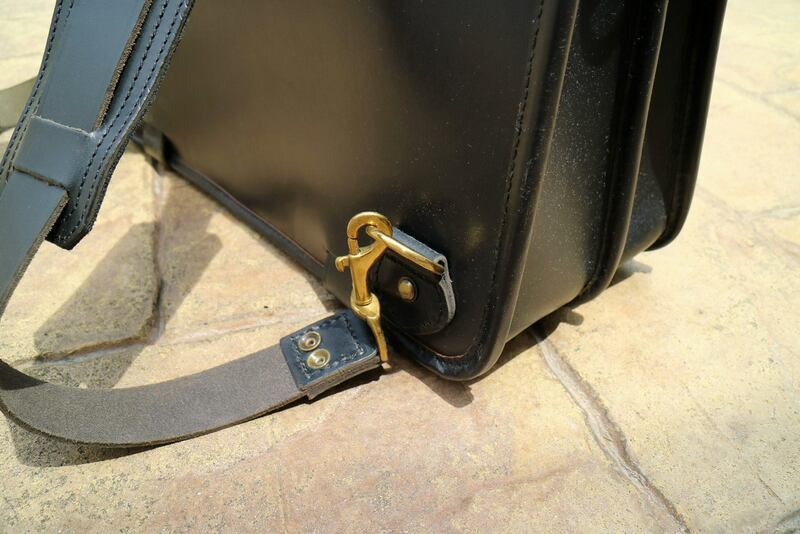 Well Patina is a phenomenon that occurs in the vachetta or untreated cowhide leather on your bag. When the leather is new, the colour is a pale beige. However over years of use, the leather darkens to its full patina in various stages, to deep and gorgeous looking honey brown. Patination is caused by oxidation, sunlight, weather, oil in your hands and dirt, and patination actually shows that your leather is genuine and not a cheap fake. 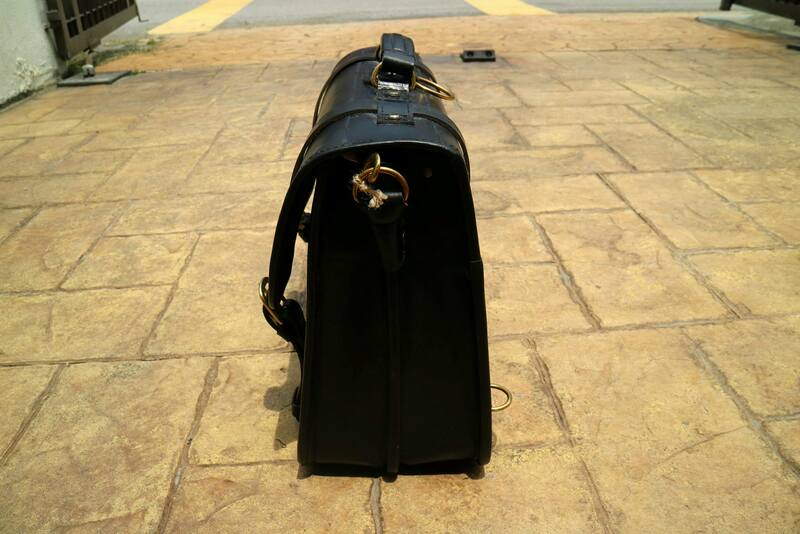 Of course as my bag is black (ie. finished leather), the patination will be not as obvious as the other types of leathers. 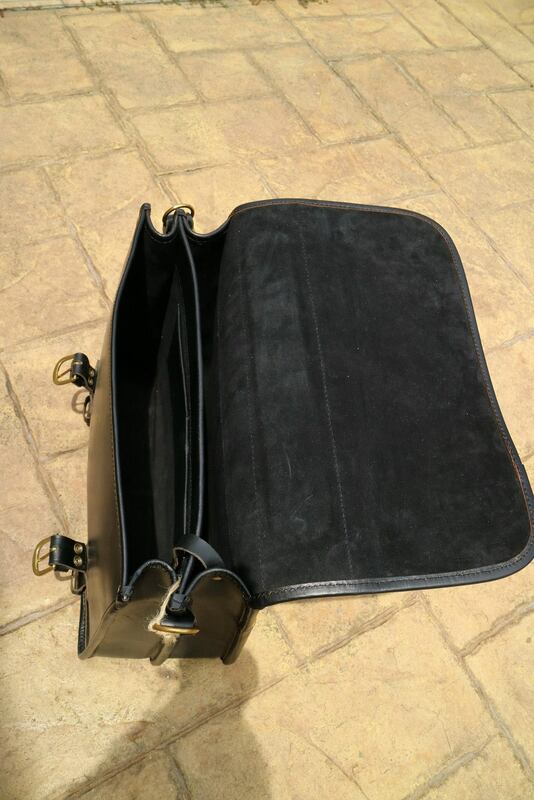 This bag is 18″ wide, 13″ high and 7″ deep offering plenty of room inside. 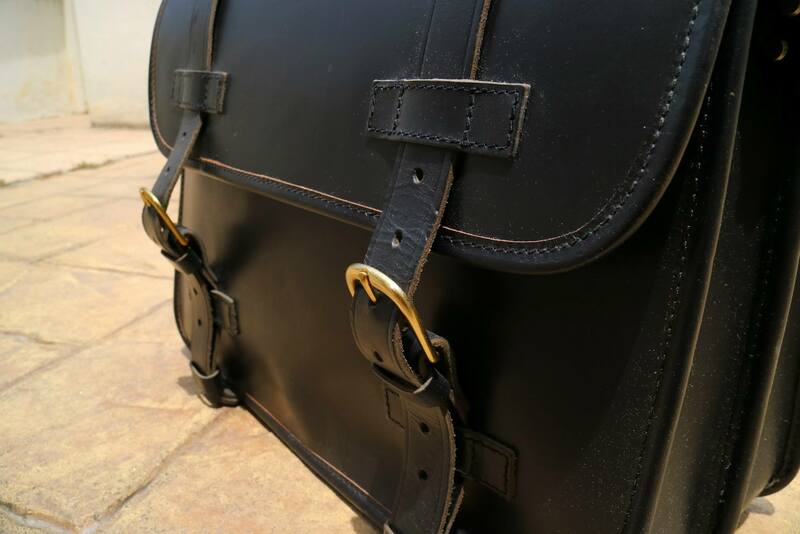 The stitching is made with industrial strength nylon thread to last longer, while there are machine pressed heavy-duty rivets at all stress points making the bag extra durable! 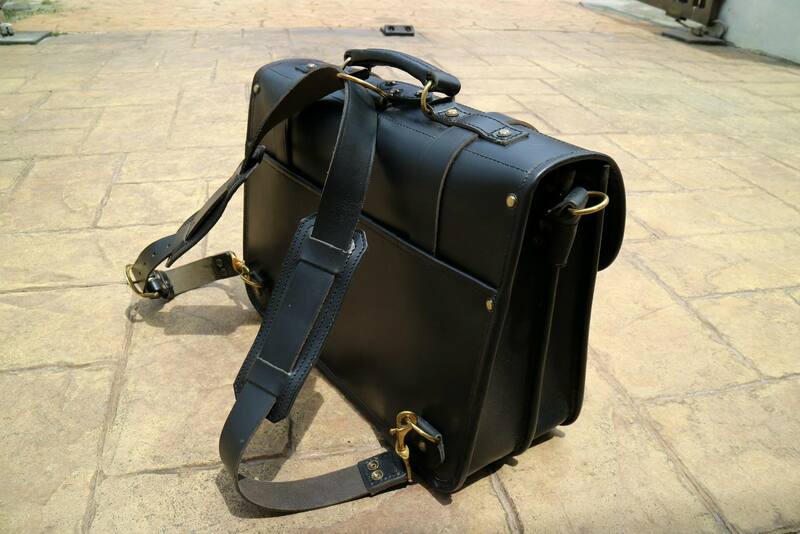 The inside has suede lining and is divided into two (2) separate compartments so you can put your laptop in one and your documents in the other. There’s also two open pockets which you can put smaller items such as pens, cards, etc. etc. There are a couple of ways you can carry the bag. 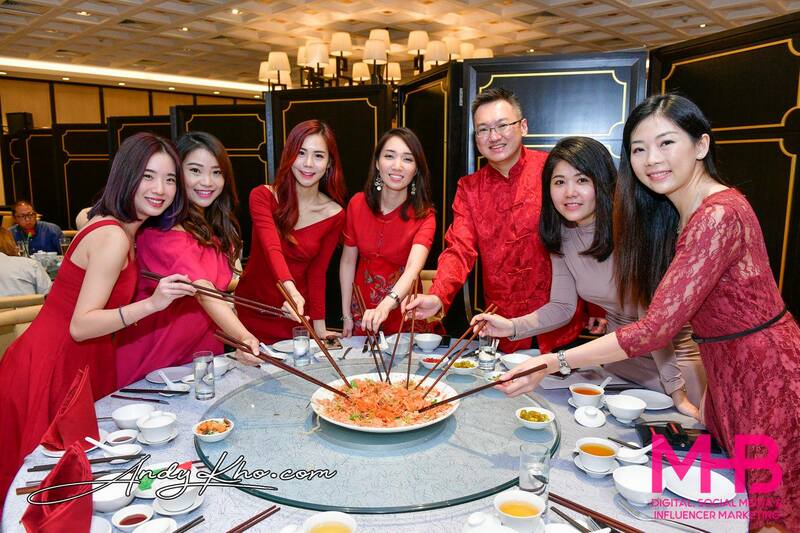 The first is by holding the handle on the top but this will get tiring after a while. 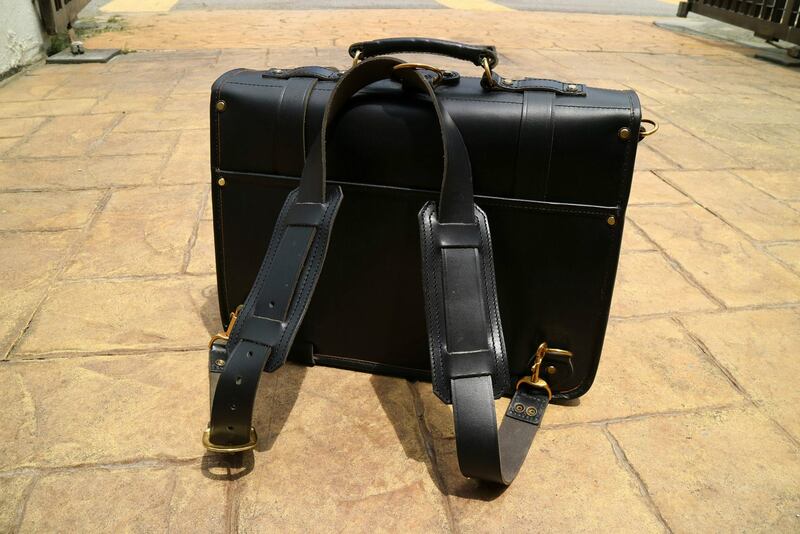 The second is to use the 1.5″ inch wide adjustable leather shoulder strap with brass buckles that can be adjusted from 36″ to 60″ allowing you to sling it across your body or on your shoulder. 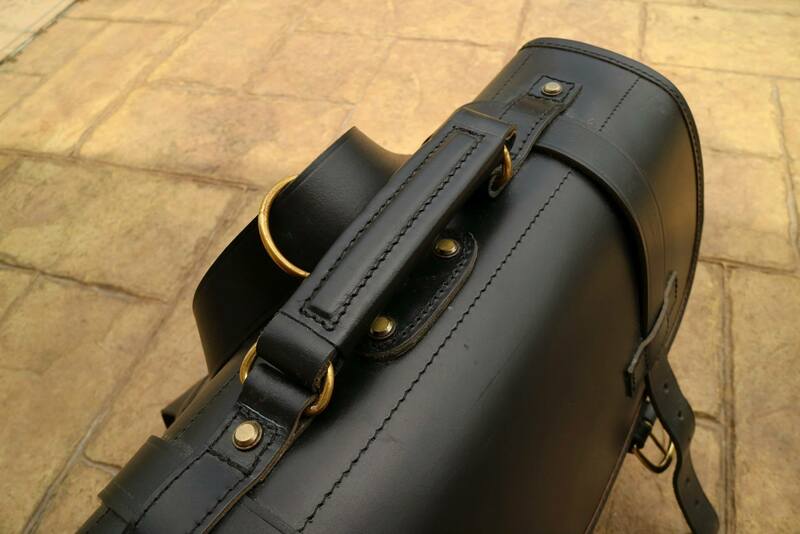 The third method is to convert it into ‘backpack’ mode by easily lengthening the leather strap then fitting it to the correct buckles as pictured above. This is the most comfortable method as the weight is evenly distributed across both shoulders making it more suitable for longer carrying periods. 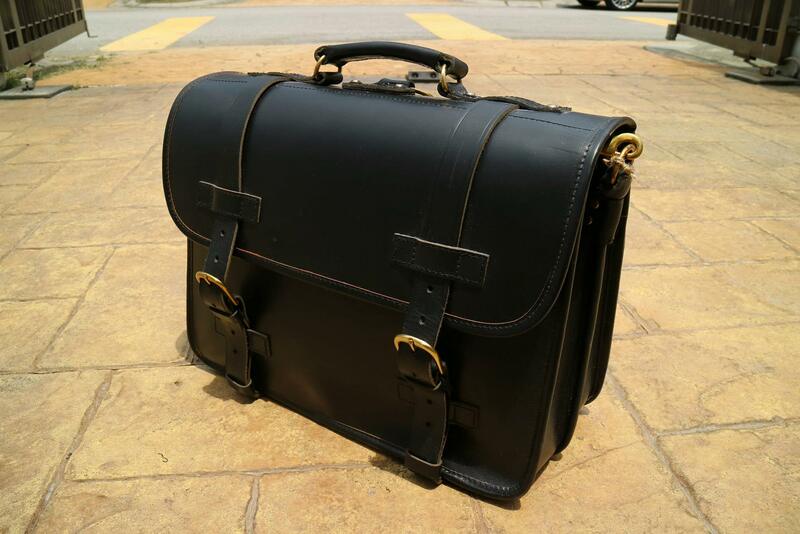 This is one classy bag that’s sure to send a message that the owner has a sense of style and class. 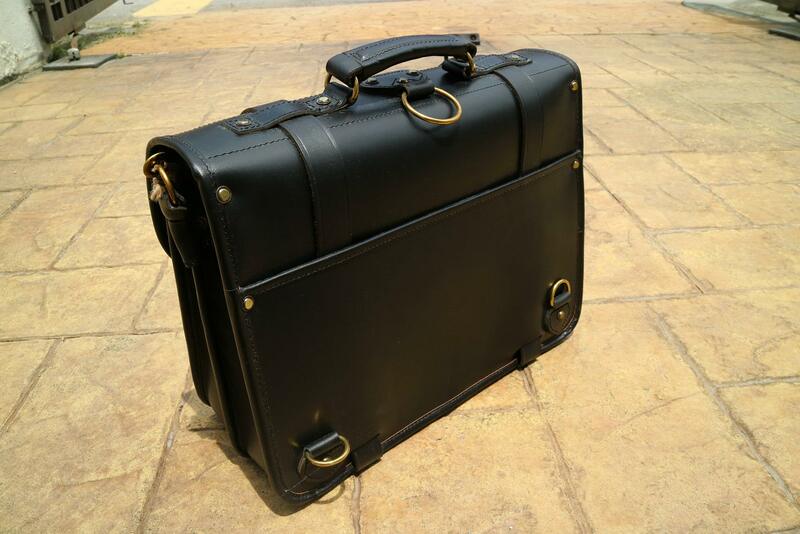 Perfect for that boardroom meeting, meeting clients, or even overseas business trips! 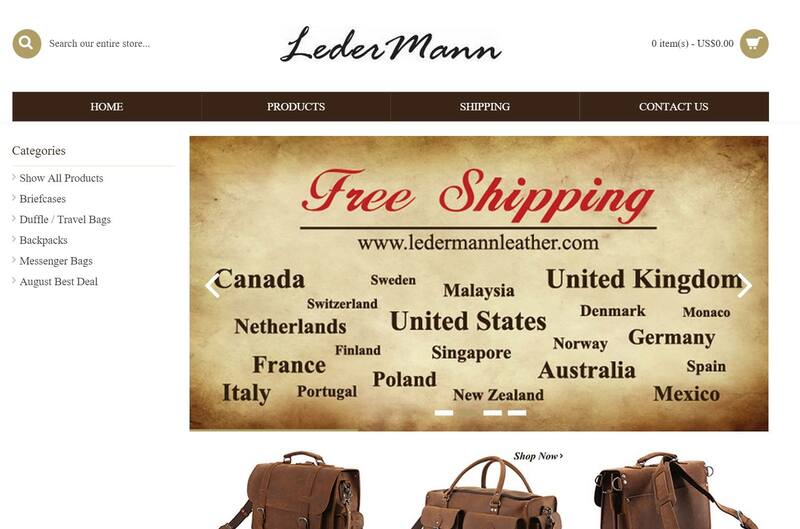 www.ledermannleather.com/ offers free shipping to Malaysia, United States, Canada, United Kingdom, Australia, Italy, France, Germany, Singapore, Spain, New Zealand, Poland, Japan, Brazil, Denmark, Finland, Netherlands, Norway, Portugal, Sweden, Russian Federation and many other countries.